So the day has come that the Asus Eee PC was officially released for sale in Denmark. Linuxshop, who was the first to some out with pre-order of the Eee Pc, have it already sold out. But other palces, there are still Eee’s in stock – so it should be a tiny issue to get your hands on the machine with you have to order from UK or other places. Here in the country, we actually went straight to 900’s models, Asus Eee PC 900, as it is officially named. The first model was Asus Eee PC 701, where 900 model has been given a better monitor or TFT screen with the size of 1024 x 600 which also means, that common websites can be viewed without any horizontal scrolling. 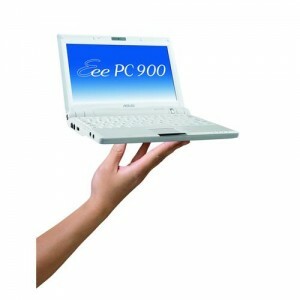 Eee PC is available at home both with Asus’ Linux variant and with Windows XP.